In a feature borrowed from our friends at Pitchfork, 5-10-15-20 asks subjects involved in the world of film to talk about the movies that made an impact on them throughout their lives, five years at a time. After two little-seen but critically acclaimed projects filmed on a shoestring budget (Impolex and The Color Wheel), Alex Ross Perry emerged from 2014’s Sundance Film Festival with his most biting, mature film to date, Listen Up Philip, which debuts in limited release today. 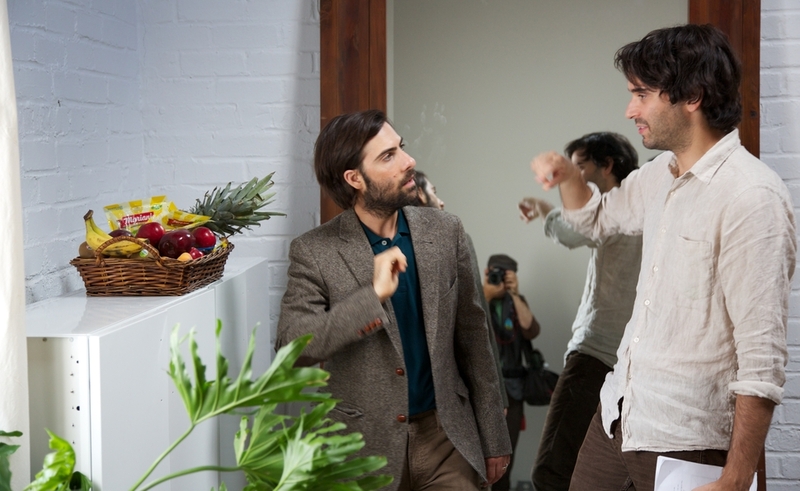 Jason Schwartzman plays the eponymous Philip, a hirsute narcissist whose second novel is awaiting publication. Unable to find inspiration or serenity in the assaultive milieu of New York City, Philip retreats to an idyllic country home, hosted by a similarly disillusioned, vain, emotionally unhinged author whom Philip idolizes (played by Jonathan Pryce). Although both in their early 30s, Perry and Schwartzman lived in two extremely different worlds until meeting last year on set. While Perry attended film school at NYU, honing his craft and consuming repertory programs at the Film Forum, Schwartzman became a Renaissance man, part screenwriter (The Darjeeling Limited), part musician (in Phantom Planet and as Coconut Records), and part actor and Wes Anderson repertory player, in films from Rushmore to The Grand Budapest Hotel. 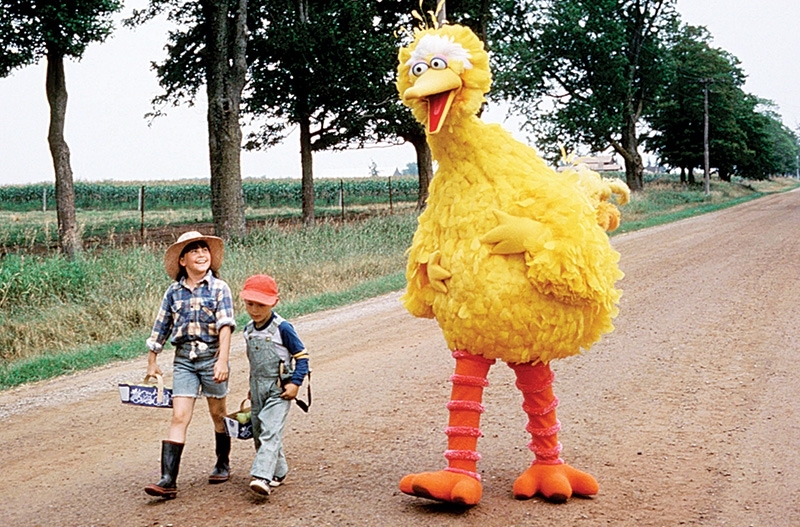 Alex Ross Perry: A movie I was known to watch a lot, according to my family, was the Sesame Street movie Follow That Bird, which I actually got to see on 35mm a few years ago. It was interesting to think that there was already some clear demarcation in terms of television, which clearly I identified those characters with, and the fact that this was a movie that took the characters beyond the confines of the sets they lived on, and into a bigger, real-world adventure. The Dissolve: Did it hold up when you watched it recently? Perry: I enjoyed it tremendously. It was really fun and exciting. I probably hadn’t seen it in more than 25 years, and of course moments aligned that were so already in my brain that I couldn’t even believe. I must have watched it more than a hundred times, but that I could remember something more than 25 years later is crazy. Jason Schwartzman: So funny, Alex, because that came out in 1985 when I was 5. For me, I’m thinking about movies in these years. I saw a lot of movies, and I don’t know who was supervising me, because a lot of them don’t seem appropriate. But who’s to say, really? One I do remember very clearly was Amadeus. And I saw it a lot, too. I saw it in theaters, many times in the theaters. My mom brought me many times, we went to see it together, and then I had it on some type of home video, because I watched it a lot. I even have a video of my dad filmed in our house, walking through and talking to my little brother, and then he goes into this separate little den area, and I’m sitting there in a chair, watching Amadeus, one foot from the screen. I remember loving it so much because of Tom Hulce with his pink hair and being so wild. It was so exciting. It had a profound impact on me for sure. Perry: So much more highbrow than me. 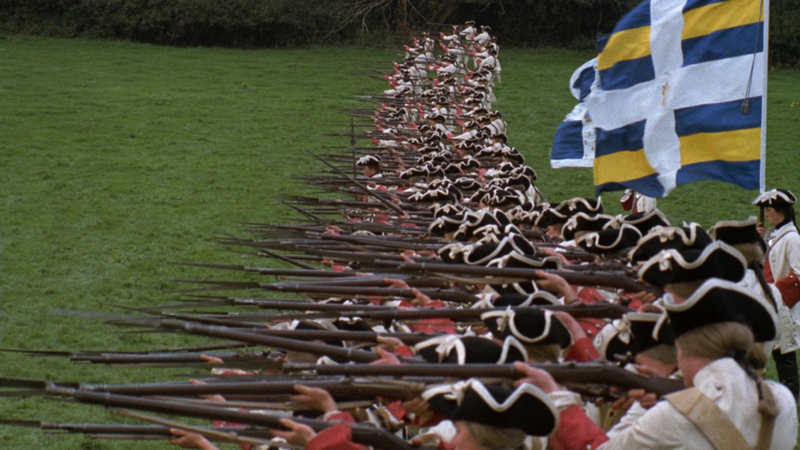 The Dissolve: I can’t even imagine what a 5-year-old takes away from Amadeus. Schwartzman: There was a lot that was intense in that movie. There’s really specific things I remember in that movie, like at the end, his lips are very chapped and broken and dry and bleeding. And there’s a scene when the dark figure in the mask comes to his place and tells him his father’s dead. I mean, it was crazy, but the joy of life that he played—it was like a crazy character for a kid. It was so exciting. 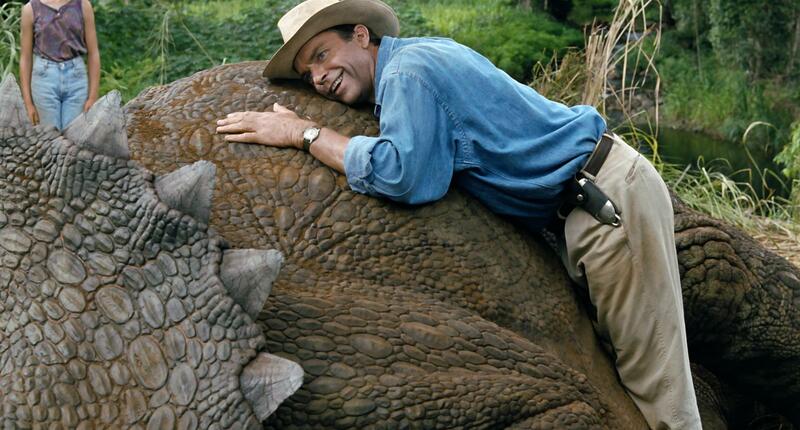 Perry: At that time, my VHS of Jurassic Park was a pretty prized possession. It came out like a month before my 9th birthday. So I guess from ’94 onward, I was probably still into re-watching that over and over. At 10, it’s hard to have anything resembling refined taste, because you’re just watching whatever is marketed directly to you. Embarrassing things—like of course, at that time I would have seen and watched on cable something like Forrest Gump. I certainly wasn’t cool enough to be aware of anything hip like Pulp Fiction at the time. But I think I was trying to grow out of just repetitively watching whatever was sold to people my age. I do remember being at a Halloween party around that time and watching House On Haunted Hill. That was the first time I ever really watched anything that felt like an older genre movie. Because why would you at that age, unless there was some other force guiding you into it? That’s another period of my life that I see as a bit of a blur, although at the time, I’m sure I was taping a lot of things off TV and watching them over and over. I remember having a fairly large collection of videos. I’m certain that at the time, I was re-watching the Star Wars movies over and over, rather than branching out into anything that would be surprising or interesting. Schwartzman: We had cable and video. There’s just so many movies. Do you remember The Peanut Butter Solution? It was this weird movie. It’s not great, but as you’re saying, Alex, I don’t know how or where I saw it, but it was always swirling around me. Perry: I definitely remember Son In Law was on HBO all the time. I probably saw parts of it in excess of 50 times. Maybe never saw it entirely, but it was on when I was 10. I definitely watched it and other Pauly Shore movies of that era a lot. The Dissolve: Here’s the plot synopsis of The Peanut Butter Solution: “Peanut butter is the secret ingredient for magic potions made by two friendly ghosts.” And something about an 11-year-old losing all his hair. Schwartzman: It was on TV all the time, so it was part of my childhood. Honestly, Alex has seen so many great movies. I’ve seen a lot of great movies too, but if I really close my eyes and think—somehow, the ones that got in early are the ones that are really in me on some strange level. In this movie, a kid loses all his hair and gets scared, and so he’s bald, and one day there’s these two people—I think they might be homeless—rummaging through this kitchen. I remember being very scared. They see that he has no hair, and as far as I can recall, they tell him he can grow his hair back with this special concoction of peanut butter and various ingredients, but not to overdo it. But he does. He does the doses wrong, and he paints his bald head with a paintbrush of peanut butter. Then his hair starts growing, but it never stops growing. And then there’s this evil man who has children as slaves, and he’s a painter, and he realizes this kid has magic hair. And he finds out that if his paintbrush is made of this kid’s hair, when he paints, he can step inside the painting. So he steals this kid and keeps him as a slave just to harvest the hair. 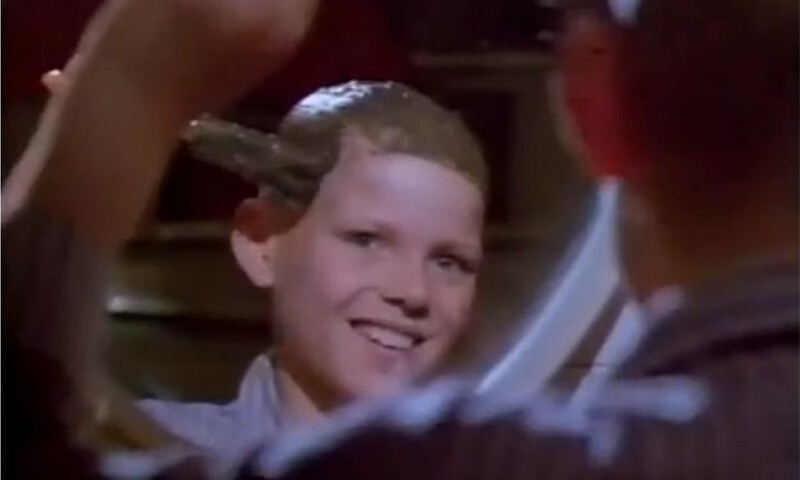 The kid’s hair is like 200 feet long at this point, and it goes down onto a conveyor belt where there are hundreds of children cutting the hair and making brushes. Schwartzman: It’s not a must-see, but it’s a must-explain. Perry: I’m 15 in 1999. In ’99, we were having a lot of mind-blowing new independent cinema. That’s a huge year. Magnolia was a revelation. My friend’s family somehow had access to end-of-year screeners, which were on tape, and every night for months, I would just watch like 25 minutes of it while I was falling asleep. That was a major film. Being John Malkovich was also incredibly major. Probably the biggest movie I loved at that time was Fight Club. That really felt like a movie that was for me, because it generally seemed more misunderstood, and kind of a failure that Friday and Saturday opening weekend. Around this time, there were a lot of independent ’90s auteurs who now have these studio movies. And they’re all very serious. These are the things that make a 15-year-old feel infinitely superior for understanding and liking them when all their peers are still watching Fight Club and juvenile comedies. The Dissolve: Does Fight Club still speak to you? Perry: I haven’t watched it in years, maybe 10 years. The last time I saw it, it really held up. The Dissolve: A lot’s changed for you in 10 years. Perry: I should re-watch it. I think the last time I saw it would be like a midnight screening in New York about 10 years ago. And I loved it, but it’s weird—there have been a few other David Fincher movies that didn’t mean as much to me at the time, but they end up being the ones I revisit much more frequently. Like I end up watching Seven more often, which is a film I loved a lot as well. But I didn’t love it as much as Fight Club. In these last 10 years since I’ve seen Fight Club, I’ve probably seen The Game twice, and I just end up rediscovering it. But that movie really did feel like it was just for me, because people didn’t respond to it at the time. It felt like a cool thing to talk about instead of whatever was hugely popular. 1999 is a well-documented, fairly great year for that kind of cinema in America. I think I was exactly the right age to take full advantage of it. Schwartzman: It was around ’95 for me. What Alex is describing as a big year for him, this is a important time for me. I was in school at the time with this guy, this dear friend of mine named Bret Burg, who is still one of my good friends, and now actually helps run the Cinefamily in L.A. We went to high school together, and he was always bringing over movies and tapes and bootlegs. At 15, I feel like… It’s two things: One is a movie I loved when it came out, which was The Big Night. I think this was around the time period, with Stanley Tucci. I thought it was so great, because everybody was working in these crazy accents, and I love that movie. And the other one I loved was Human Highway, which kind of threw me for a loop. I loved all the music scenes. And that’s when I started to get into movies with lots of music in them. We watched ABBA: The Movie. Big Night was a big one. 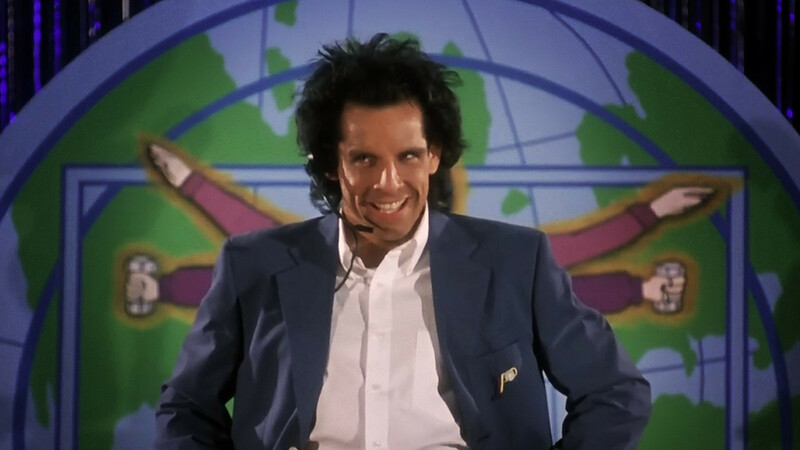 And then—I’m not sure how I saw it, but I saw this movie called Heavy Weights, with Ben Stiller. I used to love this one. I got so into that movie that when I was like 16 years old, if I would go on a date, I would always be like, “Do you want to watch this movie?” And if the girls liked it, and they laughed, it was a sign that maybe we could advance to a more meaningful relationship. But if they were like, “What is this?” then I knew we couldn’t really move forward. The Dissolve: So Heavy Weights was the definitive test for dating? Schwartzman: It was. At that time, it was. And I know, it’s a strange thing to say, but it’s the truth. It’s a Disney movie written by Judd Apatow. Yeah, it’s very bizarre. Ben Stiller plays a character that’s very bizarre—like David Copperfield meets Rambo. Perry: Nothing even occurred to me about movies in relation to dating. I would either watch movies alone, or with a couple of friends. Schwartzman: That’s the thing: For me, this was also the time when I was in my band. I was in a band, and we started in 1994, so 1995, I was 15, but this guy Sam in my band was older and had a car. So we were watching a lot of movies as they were coming out. I think 12 Monkeys… We went to see that in theaters. Just seeing all these movies as a band, I remember that was very… But Heavy Weights still was like a litmus test of some kind. Perry: The big thing happening between these two [ages] is, now I’m in New York and going to NYU. This is when I’m discovering repertory cinema in the city. Thinking back about this, I’m realizing that by far the biggest thing that happened to me in 2004 was Film Forum’s Orson Welles retrospective. That was the first time I got a membership to a theater, and made a point to be there four or five days a week. This was huge for a hundred reasons, but then the retrospective ended with a new print of The Third Man, which I probably saw three times. 2004 to me is just defined by getting into that movie, and how much it blew my mind, and how exciting it was for me to finally feel connected to the world of cinema that was just there. All of a sudden, I was living in a place that had access to this stuff at all times. I’m sure there were other repertory experiences that I’m forgetting from 2004, but that was really where my head was at that time. I went through a phase around then where around 2004, 2005, 2006, I saw very few new releases. The only interesting things for my time were going to repertory films, which was great of course, but I became very snobbish about dedicating myself to classic cinema now that I realized I lived somewhere where I could go see prints of these things. I remember going to an anthology to see a print of Luis Buñuel’s L’Age d’Or, which I’d never seen. Between these five years is a major turning point from obsessing over Fight Club to obsessing over repertory calendars, and trying to do my best to absorb every scrap of cinema I had not yet been exposed to. The Dissolve: Do you remember the kids at your school being similarly involved with going to repertory and seeing these series? Perry: I had a few friends who were my sort of partners in crime on this. Not many—like, two or three. And we certainly were invested in this. We were not even a minority, we were it. No one else. We would go to these movies, hang out with each other, and then we would never see other people from our school there, which just made us confident that everyone else there was a bozo, and we were the only ones who understood what we were doing. The Dissolve: And were you right? Perry: Uh, yeah, definitely. I don’t know where any of these people are anymore, so I couldn’t begin to guess how right I was. I don’t see their names in a morning newspaper. We didn’t really end up having the same dreams and goals, or I was right and they were just total clowns. Schwartzman: Alex at this point has taken off. Alex is excelling. I was not excelling in the same way anymore. Not that I was ever was. I was working and playing music with the band. Literally, most of my time was devoted to just playing music in this tiny room, rehearsing all day, so I had very little time, and we were writing and trying to record a record and stuff. That said, I too was going to see movies at the New Beverly in Los Angeles when I could. I’m not sure what came out in 2000 that I remember really, really well. Perry: Two other huge, huge movies were Primer and The Brown Bunny. I couldn’t have loved either one of them more. I saw them both in the theater multiple times within the span of a few days. These movies were reshaping my latent ideas of how small and personal and alive independent movies could be. Schwartzman: There’s no question that when I was 17 and I met Wes Anderson, he became a mentor and started showing me movies. That’s when I saw Dog Day Afternoon, Harold And Maude, and The Graduate. That was the moment where I felt movies became like music—where they gave me the feeling I had gotten from so many of the records I have loved. For some reason, I was not going toward movies that were heavy. Also around this time is when the New Beverly started showing a lot of Marx brothers movies. Perry: Looking back at my database, an Excel spreadsheet I keep, it seems like 2009 is the year that I’ve seen the most movies in the theater, of the last nine years that I’ve been keeping track, at 295. So obviously I was watching movies quite a bit at 25, in addition to going to festivals with Impolex. Running down the way I was watching movies this year clearly shows that what I was exposed to at 20 and 25 is 100 percent the way I live my life. 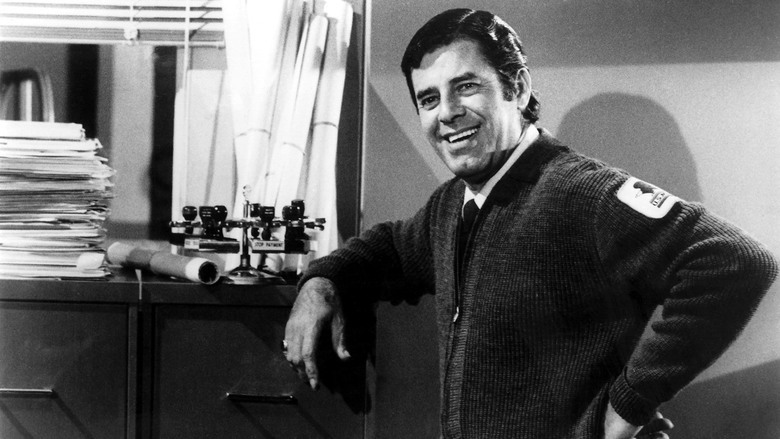 Something that happened at the end of this year was Anthology [Film Archives, in New York] had a retrospective of late Jerry Lewis films that were a total revelation to me, and really influential while I was writing The Color Wheel. To think about, philosophically, what these late Jerry Lewis movies were doing. At this point, this is just what I do. I’m just seeing stuff all the time, and it all plays into each other to become this portrait of cinema. Schwartzman: At 25, I was probably getting broken up with in some way or another. I think around this time, or a little before, I was making the movie Marie Antoinette in Paris, and Paris has an incredible circuit of films. On my days off, I remember seeing lots of movies. One in particular was Ruggles Of Red Gap. I probably saw it four or five times. I was mesmerized by it for some reason, although it’s not one I think about a lot now. On a modern level, Wet Hot American Summer was one I loved. I couldn’t believe I didn’t know what it was, and everyone in it. All these great actors, especially Zak Orth. This is also when I started watching the Jim Jarmusch movies more closely. Around this time, I was also writing The Darjeeling Limited with Wes and we watched The River together, which I don’t think was on DVD at that time. He had some copy of it, and it was so beautiful. At this time, I’d really only watch one or two movies a month, but then watch them over and over again. 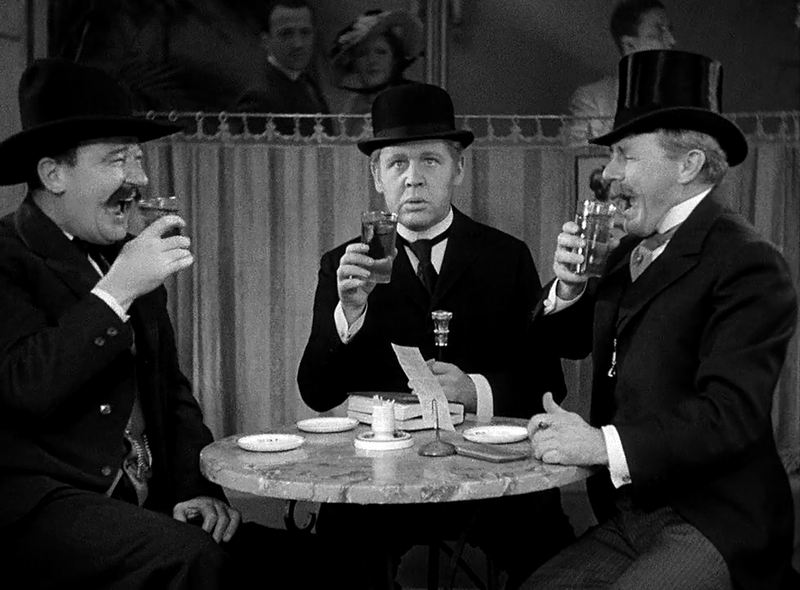 Perry: I’ve only been 30 for a few months now, but after my birthday, I went to go see a print of Barry Lyndon at MoMa. I’ve seen it a dozen times. But that was pretty major again, to revisit it by myself, starting a new decade of my life. Since then, I’ve been busy and watching a bunch of fun movies to distract myself from whatever busywork I’ve been doing. For me, 30 has yet to be written. Schwartzman: When Alex and I started to do Listen Up Philip, he showed me We Won’t Grow Old Together, and I would say this would fit in that list of, “What are the films you think about, that have affected you?” I’m not 35 yet, but between 30 and 35, if I could pre-answer right now, it would be We Won’t Grow Old Together. It was a revelation to me, and one of the best movies I’ve ever seen. I have Alex to thank for that one. 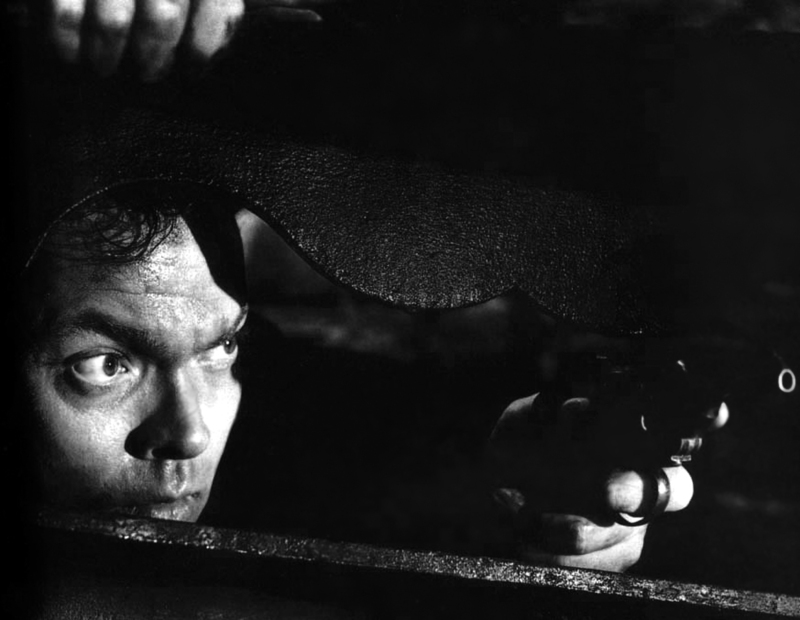 The Dissolve: Where did you two watch it? Perry: We watched it on DVD during the couple weeks getting ready to make the movie. There’s a new print circulating in New York, and my friend happened to make that print, so he was able to give us a DVD before it was released. The Dissolve: Alex, didn’t you mention at Sundance that you two also watched Husbands And Wives in preparation? Perry: It’s interesting to hear Jason talk about watching one thing over and over, because I’ve never really done that. I became obsessed with the idea that there’s too much to see, and if I spent time re-watching things repeatedly, that’s one less new thing I get to see. But then last year, while we were getting ready to make Listen Up Philip, I was re-watching Husbands And Wives a lot. Not in its entirety, but we had copies of it around in the production office. And I’d be looking at scenes of it with the cinematographer, and scenes with the locations people, and then Jason and I would look at it. I’m starting to feel like that sort of intense appreciation of one thing, rather than a scattershot of seeing everything, is becoming more appealing to me.